Thanks to everyone who entered our blog giveaway this month! Our lucky winner is Shala K. who will have her wish to try US #17 fixed circular Basix! We've contacted Shala on Ravelry to arrange the shipment of her prize! We received a tremendous response to our last post about quick, chunky knits using larger needles, so today we'll be sharing more pattern inspiration with you. 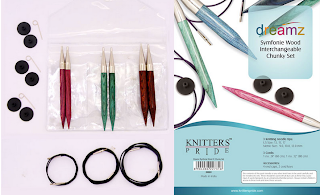 Wool yarns and large needles are the perfect combination for your next felting project; we have several chunky interchangeable needle sets which contain needle pairs in US #13, #15 and #17 sizes - all you have to do is choose which type of needle tip you prefer! 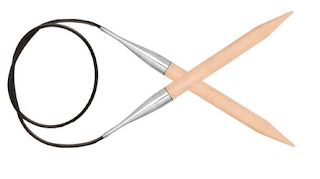 As we saw in our previous post, our Basix line is another great option for projects requiring larger-sized knitting needles. 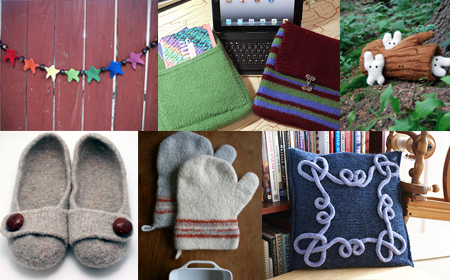 Clockwise from top left: Star Garland by Katie Startzman, Felted iPad Case by Marlene Sigel, Woodins by Anna Hrachovec, Celtica Cushion by Debbie Tomkies, Felted Oven Mitts by Purlbee, and French Press Felted Slippers by Melynda Bernardi. If you're ready to give felting a try, click here for more inspiration on our Pinterest board! Feel free to share your favorite felting tips or resources on this blog post, too! 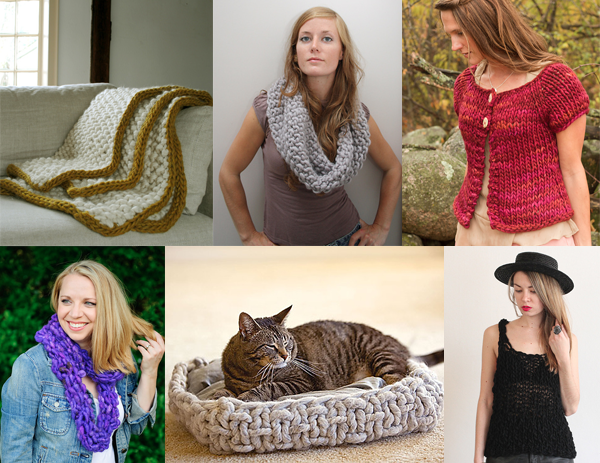 Think Big: Knitting Inspiration + Giveaway! This month, we're thinking BIG! 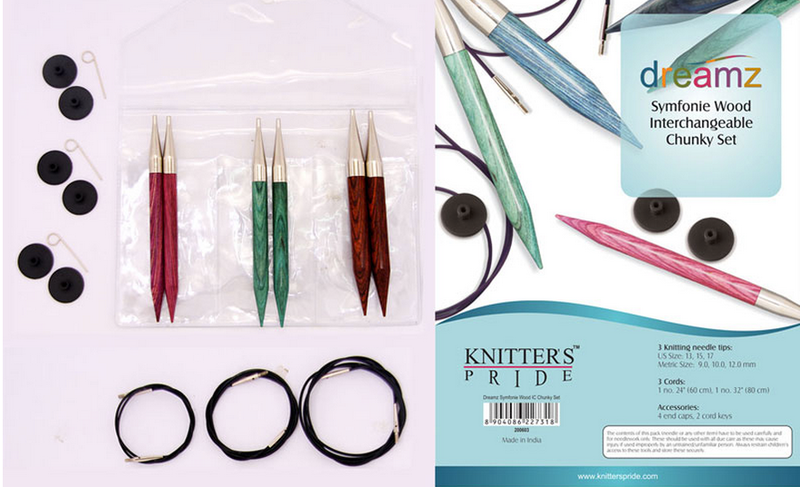 Our Basix needles come in large sizes and are just right for quick, chunky knits and fast felted projects! In today's blog post, we'll share some of our favorite patterns for big needles and give you a closer look at Basix. 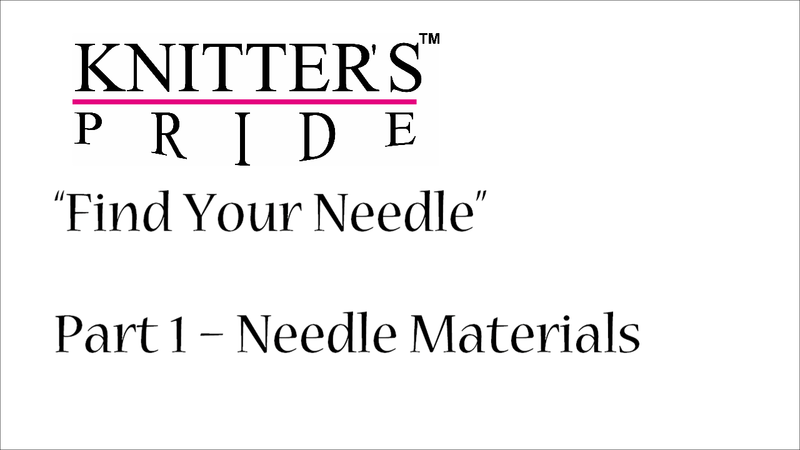 You'll also have a chance to win your choice of Basix needles this month! Here are just a few project ideas for fast knits on big needles, many of which are available for free on Ravelry! Clockwise from top left: The Eleventh Hour Blanket from Purl Soho, Marian by Jane Richmond, The Road to Gimmerton, Pembroke Tank by Tara-Lynn Morrison, 40 Winks Basket by Hana Jason, and Pixie Necklace by Kate Oates. Click here to view more project ideas for Basix needles on Pinterest! Our Basix needles are lightweight and available in double-point, single-point and fixed circular needle styles in a range of larger sizes.These perfectly-pointed, durable needles are ideal for chunky yarns. Get to know Basix below, then leave a comment on this post telling us which type you'd most like to try out. Don't forget to leave a way for us to contact you (email address or Ravelry ID will do just fine). We'll randomly select one winner to announce on Friday, April 26. Good luck! Available in 8" length in US sizes 11, 13, 15, 17, 19 and 36. Perfectly tapered points for easy stitch glide. Available in 24", 32", 40" and 47" lengths in US sizes 11, 13, 15, 17, 19, 36 and 50. Smooth joins for snag-free knitting. Resilient, flexible cords lay flat with no kink or twist. Available in 10" and 14" lengths in US Sizes 11, 13, 15, 17 and 19. Generous size end caps keep stitches firmly on needles. Be sure to check back on Friday, April 26 to see who won this month's blog giveaway!